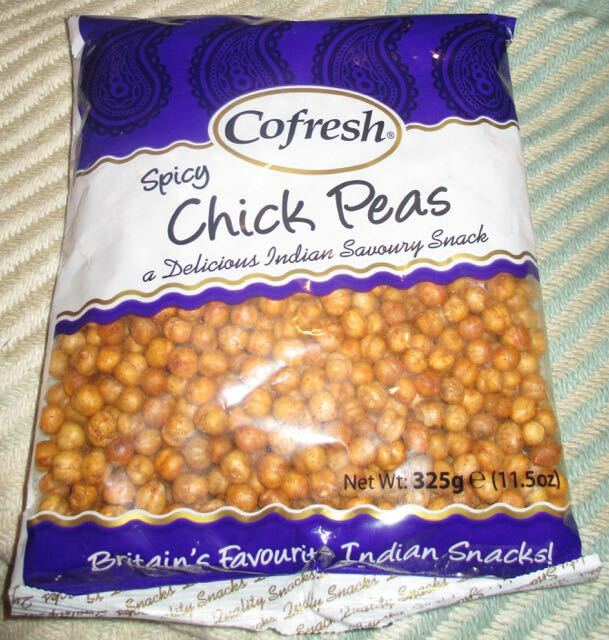 These Cofresh Spicy Chick Peas seem like a perfect alternative snack to spicy chilli nuts or chilli flavoured crisps. These Spicy Chick Peas were fried in rapeseed oil and then had chilli powder and salt added to them. They sounded pretty simple to prepare (he states in ignorance) and there was plenty of them in the packet. Certainly enough for a good snack sharing evening of entertainment in front of the box whilst watching Strictly Come Dancing. I do like the dancing and all round cheerful nature of the programme. Anyway, these Spicy Chick Peas had a light curry flavour to start with, and then after a couple of mouthfuls the medium chilli heat filled my mouth pleasingly. Very nice, very tasty, but you don't need a fire extinguisher with these chick peas. The only problem was the size of the bag. There is only three of us, and for the size of bag you need a big party of people. However, if Cofresh put these in lunchbox 'peanuts' sized bags, I'm sure they'd fly off the shelves like... Well, like hot Spicy Chick Peas! 325g bag with 445 calories per 100g, having 13g of fat, 6g of sugar and 0.68g salt. Ingredients included chick peas (84%), vegetable oil (rapeseed), chilli powder (1%), and salt.